Adam gained invaluable experience working with esteemed producers such as Tom Dowd, Phil Ramone, Mike Stone, Mutt Lange, Rupert Hine, Terry Brown, Steve Lillywhite, Hugh Jones, Alec Costandinos and Paul Samwell Smith. 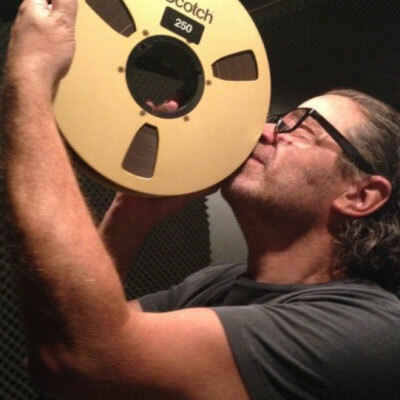 Adam has enjoyed worldwide success as a producer, engineer and mixer with many diverse artists at gold and platinum status that include John Cale, Wolfmother, U2, Nikka Costa/Lenny Kravitz, Claudio Valenzuela, Lucybell, Roxette, Maxi Priest, Richard Marx, Galliano, The Cure, Kiss, Visage, Rush, Wet Wet Wet, Ketama, Buffalo Tom, Marla Glen, The Buggles and The Blow Monkeys. Adam also has many film and TV credits, that include “The Big Wedding” (Robert De Niro, Diane Keaton, Susan Sarandon, Robin Williams, Amanda Seyfried , Spike Jonze’s “I Am Here, “The Americans” (FX Channel), “True Blood” (HBO) and the award winning feature movie “The Dark Valley (2014). Adam has also built an impressive reputation for his eclectic work in jazz, opera, R&B, classical and ‘world’ music, working with artists that include Jose Carreras, Michael Brecker, Talvin Singh, Branford Marsalis, Vernon Reid, Bill Bruford, Tina Turner, Baaba Maal, Earth Wind and Fire, Melba Moore, Kenny G, Hoagy Carmichael and Georgie Fame.